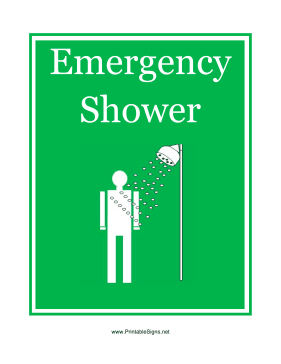 An emergency shower is provided for medical purposes and emergencies only, not for daily use. This green printable sign features a person rinsing off their body. It should be used to help people who have been covered in an irritant or a harmful substance that needs to be rinsed away.